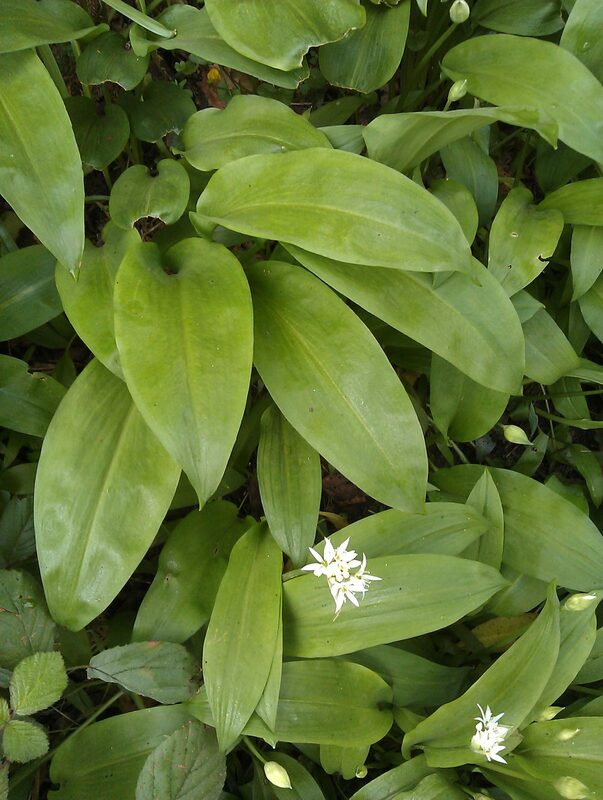 I foraged the wild garlic in Camel CSA’s standard boxes this week from woods near our veg-growing site. This invasive plant makes a delicious, if slightly pungent, pesto. I recommend you serve it warm: stir it through freshly-cooked pasta or mash, swirl it into soups and casseroles or use it as a topping on pizzas*. Pick the leaves over. Make sure you discard any flowers, coarse stalks, stray pieces of grass, dirty or damaged leaves. Blitz the garlic leaves (plus parsley if used), lemon juice and toasted nuts in a food processor or liquidiser for a minute or two. Then gradually blend in 100ml of the olive oil. Lastly, mix in the grated cheese, salt and pepper. This will keep up to three weeks in the fridge in a clean sterilised screwtop jar. Press the pesto down firmly to remove any air pockets. Seal the surface with the remaining olive oil to help it keep well.